The port of El Copano in Refugio County is one of 12 sites that Preservation Texas, Inc. has named to its tenth anniversary retrospective list of Texas’ Most Endangered Historic Places. 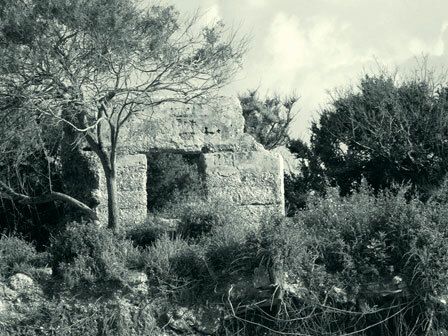 Originally named to the 2008 list of Texas’Most Endangered Historic Places, it is designated as a lost site on the 2013 list. Preservation Texas officials announced the selections on the steps of the Texas State Capitol on Preservation Day, February 20. The annual announcement is part of Preservation Day activities organized by Preservation Texas. Advocates from all over the state come to participate in informational sessions, meet with legislators at the Capitol and get an in depth look at lessons to be learned from the sites named to the list. The port of El Copano was established in 1722 by the Spanish to service the missions and military garrisons at Refugio, Goliad, and San Antonio. Wharves, warehouse, and commercial establishments were built as seagoing vessels moved cargo and people. El Copano was the main port of entry for Irish immigrants during the 1820s and 1830s Empresario period. The port was also used during the Texas Revolution and the Civil War. Bypassed by the railroad and hit by hurricanes, the port eventually declined. Most of the structures at El Copano were constructed of shellcrete masonry and there are two known cemeteries on the site. The 10-foot bluff on which the port was built is eroding into the bay and only a few structures survive. Additionally, no public roads lead to the site and this has added to obscurity of the site. The site is owned by an estate and the multilple heirs have not been able to agree on plans to maintain the site. Currently, the heirs are unwilling to allow access to the site and have been accessible only through their attorney.